A great tent for a family holiday in Sweden or a trip down south to the sunny Mediterranean. The Great Divide RT Tent sleeps up to six people in comfort. And if there are only two or three of you, or you need more storage space, you can simply remove the small sleeping cabin to create a large living area with standing room for adults and make rainy days more bearable. In fine weather, the space can be extended even more. Simply roll up the front entrance or rig it to form a roofed veranda (poles available separately). 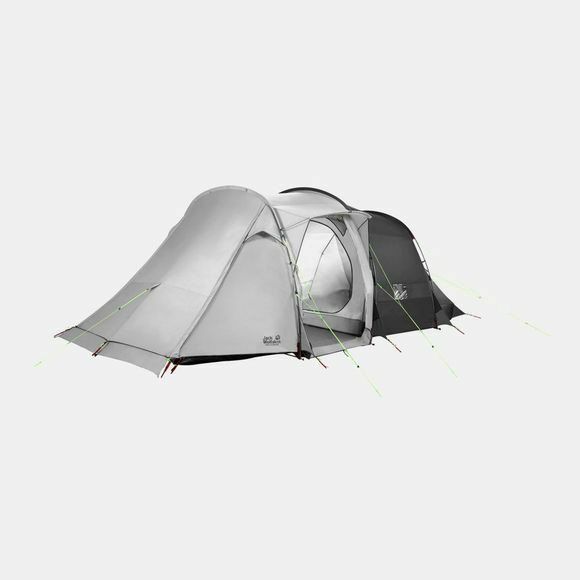 The tent has two additional entrances and four windows for more air and light. Small items like sunglasses, playing cards etc. can all be stowed in the repositionable Inner storage pockets. And there is a separate groundsheet tarp to protect the tent floor from stones and prevent water ingress.